By 1968 Ferruccio Lamborghini had already established himself as a maker of radically exotic automobiles. Though only in the auto business for five years he already had success with his first two cars, the 400GT and the Miura. The latter–most certainly a car for a later post–had proven to be a major success with it’s mid-mounted V12 and flashy lines. Lamborghini chose the coachbuilder Bertone to design his next car based on the Marzal concept car shown in 1967 at the Geneva Auto Show. The design was also heavily influenced by the Bertone rebodied E-Type Jaguar show car called the Pirana. To Mr. Lamborghini this new car was an ideal GT car–an excellent merger of practical need with the style and speed of the futuristic new cars he was making. twin-throat Weber carburetors that put out an impressive 325hp. A top speed near as makes no difference to 160 mph and a 0-60 time of around 6.5 seconds made the Espada the fastest four seat GT of the day. With 4-wheel disc brakes, a fully independent suspension, and ZF worm and nut steering the Espada handled well. Period reviews praise it’s tendency to understeer and tailhappy nature as well as it’s soft ride. A manual transmission was the only option until 1974 when a Chrysler automatic became an optional extra. The automatic transmission is to be avoided however as it shifts at 4800 rpm, almost 1000 rpm before peak torque hits (5500). Only around 50 were built with the automatic transmission. There were three series of Espadas built during their decade of production. Series I cars were made from 1968 to 1970. Series II cars from 1970 to 1972 got a revised grille, vented brakes, new steering wheel, new dash, and 25 more horsepower from the engine. Series III cars were built from 1973 until the car went out of production in 1978 and again got a revised grille and dash, revised suspension and brakes, and more horsepower. Power steering and air conditioning were standard in SIII cars as well. In 1975 changes to United States car safety rules forced the addition of large rubber “impact” bumpers that do nothing for the design of the car. Given Lamborghini’s tendency to make changes during the run of a model there are many cars that may seem to span two different build series. 1224 cars were built in all. In a March 1972 road test Sports Car World praised the softness of the ride and it’s ability to happily cruise along at speeds of 120 mph all day without any sense of drama from the handling. 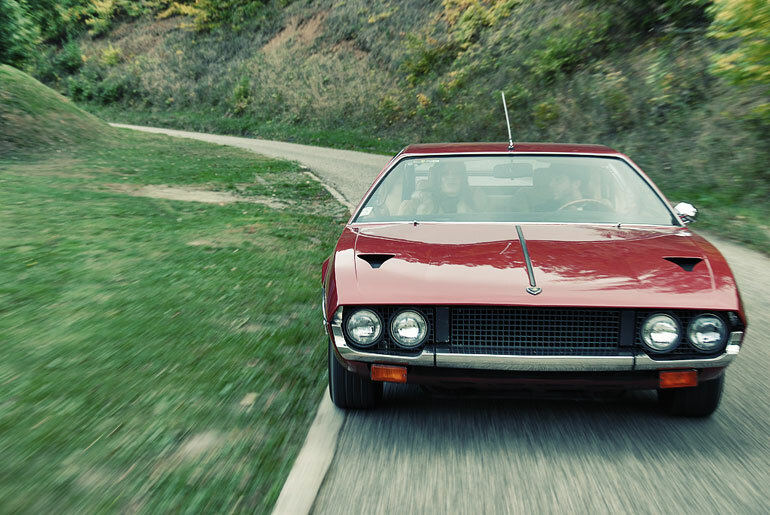 Love it or hate it styling has kept the Espada in the cheap seats over the years. Cheap only applies to the price of entry though as upkeep and maintenance for these cars is still in the stratosphere you’d expect for an Italian GT car. 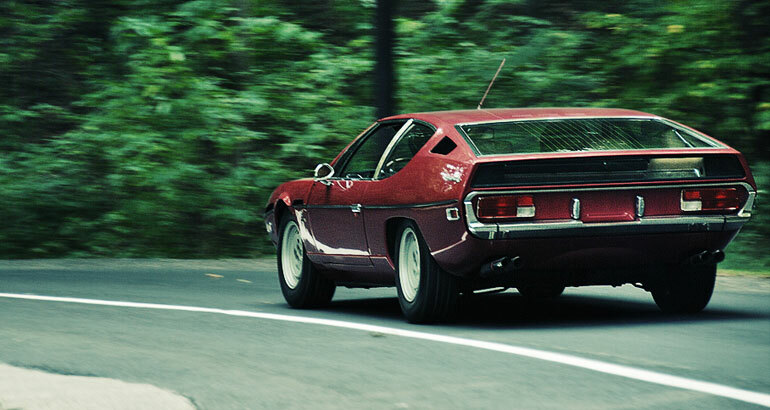 The Espada is a car that grows on you the more you look at it and think about what it actually does. 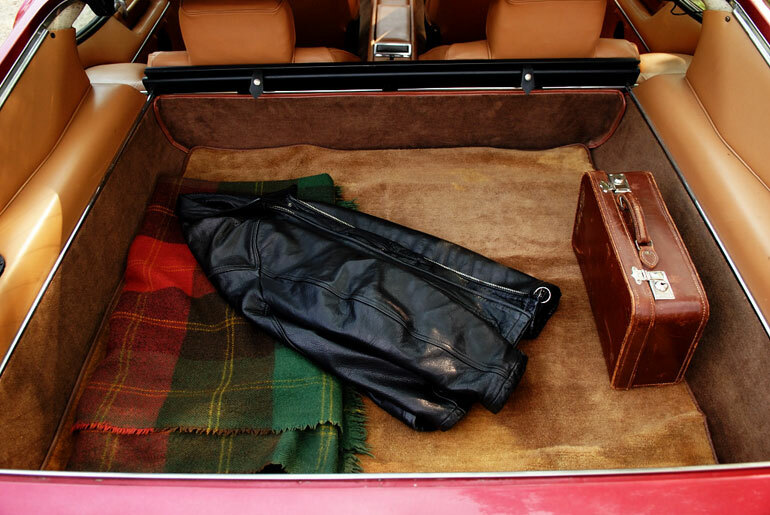 Four adults, 10 cubic feet of luggage space, 120mph+ in relaxed, luxurious style. That’s hard to beat. I have gasoline for blood. This entry was posted in Uncategorized and tagged Lamborghini, Lamborghini Espada. Bookmark the permalink. i passed a lambo once, in my zentra. blew right by it. Great inigths. Relieved I’m on the same side as you.